Manuscriptology is an important branch of knowledge concerning old manuscripts: the original hand—scripts. 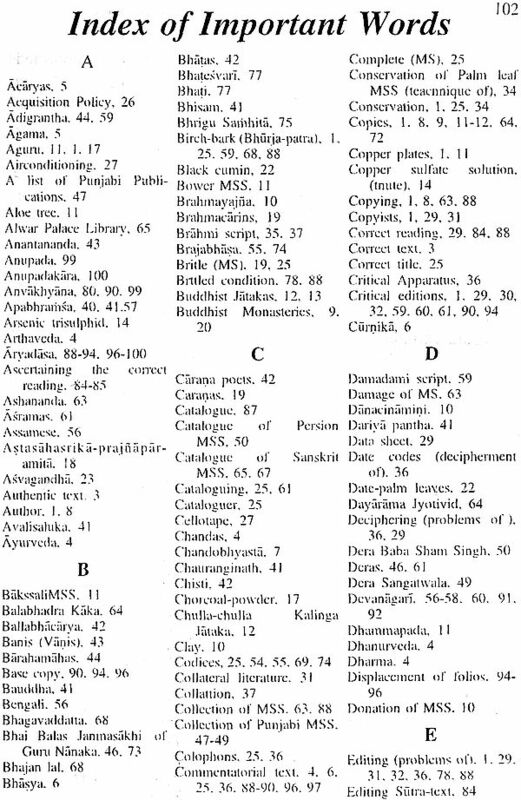 materials used for writing, subsequent copying and recopying of the original texts, their collections, preservations cataloguing and finally preparing their critical editions. In the course of their journey MSS suffer many changes like textual corruption, missing. wrecking and displacement of folios, etc., posing great problems to the later editors for preparing their critical editions,. Most of the manuscripts remain unnoticed and finally go to oblivion. Very few of them get the fortune of attaining M0/crit. i.e. publication in critically edited form. 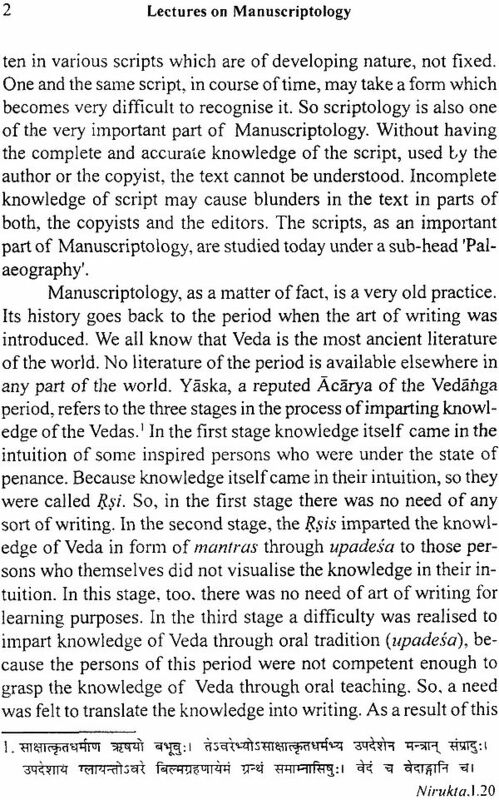 It was really an order of the Providence that l developed a keen interest for preparing critical editions of some Vedic texts which were yet unknown. I devoted a considerable period of my academic life in this field. 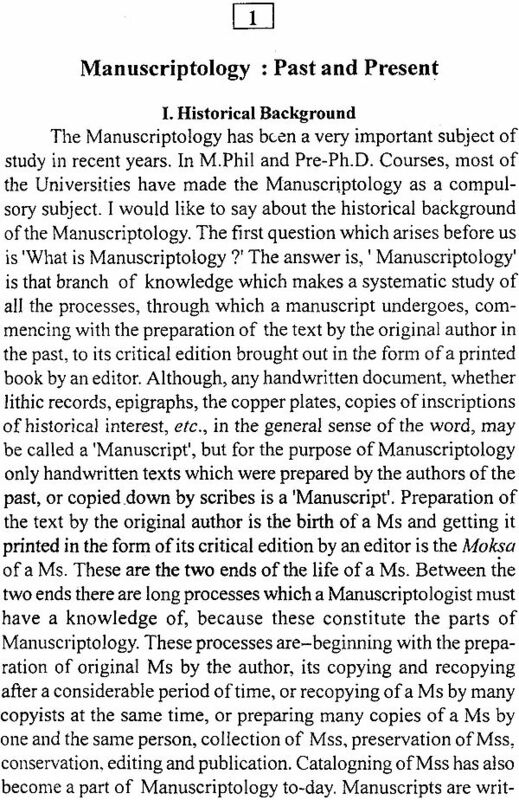 More l devoted time in critical text—editing work, more I became acquainted with manuscriptology in general and the problems encountering in the work of critical text—editing in particular. 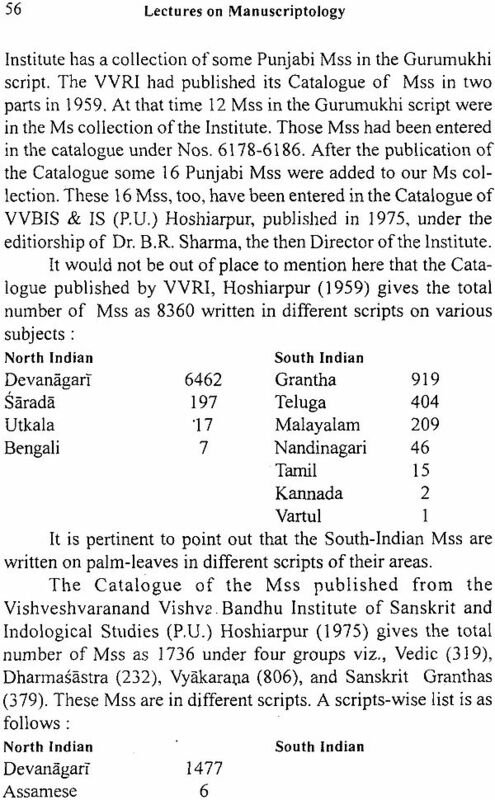 Knowing that was engaged in critical edition Vedic texts, l was invited by several institutions to deliver lectures on Manuscriptology in general and problems concerning preparation of critical editions of Vedic texts in particular. 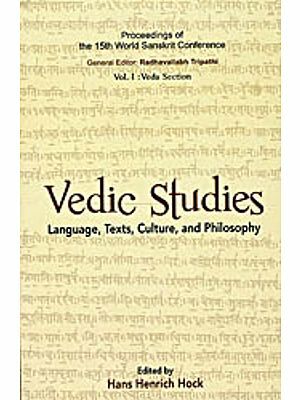 New l feel a great pleasure in presenting my those lectures/papers, which l had delivered/presented in Seminars conferences, in a revised form in this book for the benefit of the students of Manuscriptology. 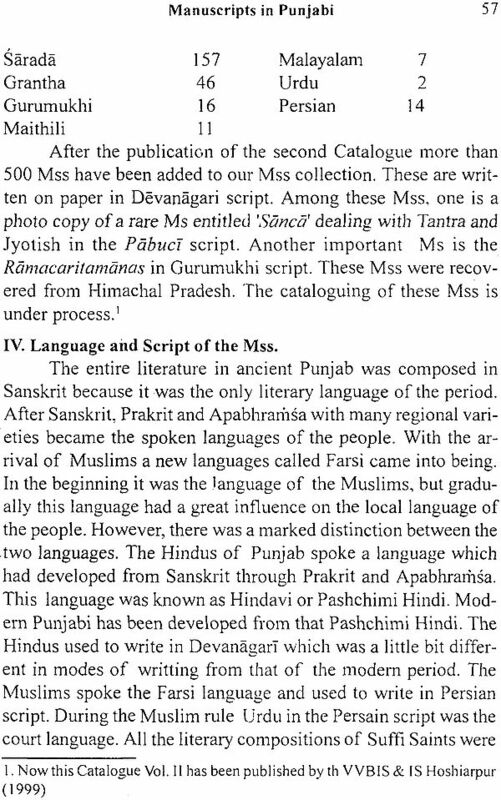 I am grateful to the authorities of the Asiatic Society, Calcutta (March 8-10, 1990), the Centre of Advanced Study in Sanskrit. 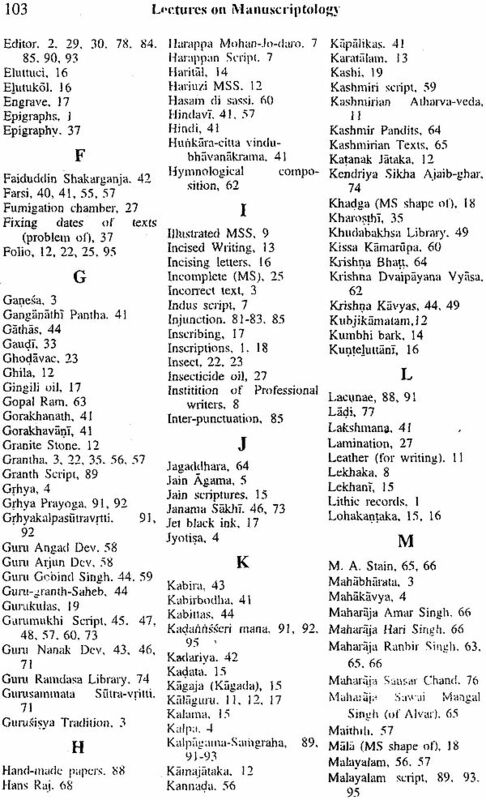 University of Poona (Jan. 21-23, 1992) and the institute of Asian Studies, madras (Jan 1l-l3, 1995). Who had invited me to deliver those lectures in the Seminars, orgnised by them. I place on record a word of appreciation for `Yogesh, my youngest son. for his nice type—setting of _ the book. l express my thanks to Dr. Raghbir Singh, Reader in the Deptt. of VVBIS & IS, (P.U.) Hoshiaipur for taking pain in correcting the proofs.